Reading the Bible in Hebrew can be a daunting prospect for beginners. But if we take it step by step, it’s easier than most people think. 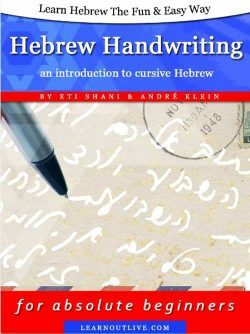 The first step is to learn the Hebrew letters, the second to learn single words and then short phrases. 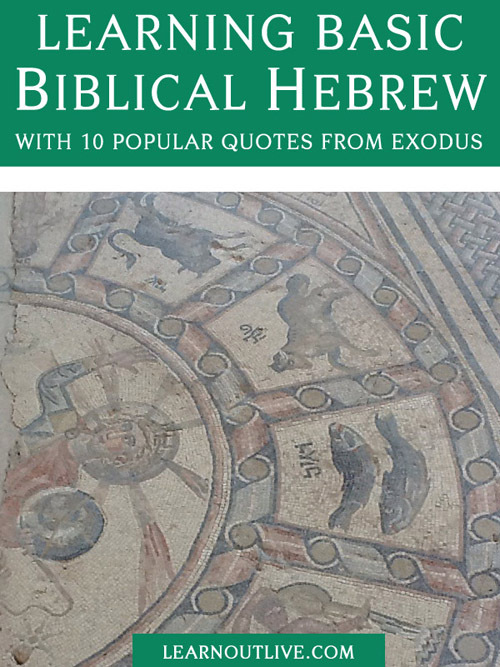 This publication is a compilation of ten popular Hebrew phrases from the Book of Exodus. Each phrase is presented in bold, easily readable letters within an aesthetically pleasing layout, complete with meta-information regarding the location of the phrase in both the Hebrew and English Bible. By flipping the pages readers can delve deeper into each phrase, learning the correct pronunciation, translation and context of each phrase. In addition to that, there are notes about various Hebrew peculiarities and links to (free) websites containing audio, vocabulary and further information. 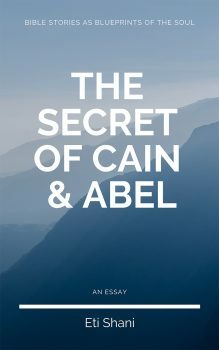 In keeping this volume as digestible and open as possible, we hope that it will act as a springboard into the rich and endless world of Biblical Hebrew. ” I found this short book by Eti a pure joy. 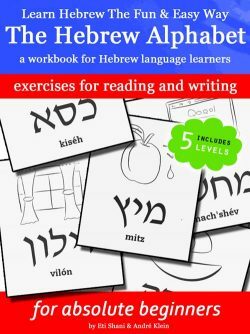 It is an interesting experiment in learning Hebrew via small, bite-sized chunks. Most people are like me and not really ready to take on a major course of study. These phrases are like appetizers before a three course meal. The choice of phrases are also well suited to feeding your spirit. They bring to life in a new dimension of the inspirational events in the book Exodus. I think that learning to speak the words in the original tongue bring a new power and reality to the stories. Thanks Eti. Beyond that, the layout and presentation of the material takes me back to a time when books were a work of art in their own rite. The publishers of today seem to forget that many of us need the visual stimulation that illustrators use to bring to the total experience of book reading. Eti’s choice of background and calligraphy make this a visual joy. Her use of multi-media audio also add nuanced value to reading and learning. 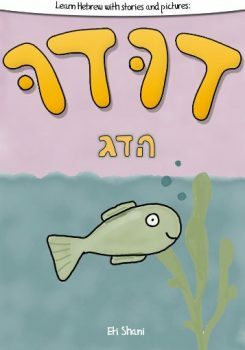 Even giving me phonetic spellings provide additional opportunities to go deeper into this simple presentation of Hebrew.